Artisan Design Handcrafted Onyx Tube Bead with Flat Autumn Turquiose Bead Necklace. 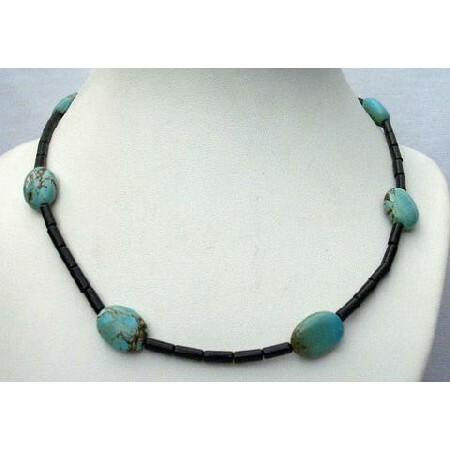 you are sure to be chic in our reconstituted onyx & Flat Autumn Turquoise reflecting latest fashion love of ornamentation with its posh look & easy-to-wear our Necklaces are not polished or reisin but 100. Percent genuine. Whatever you are looking for Material used for Jewelry you can get it from Fashion Jewelry For Everyone Handmade Exquisite Necklace!.